With your choice of left- or right-handed model. Available in both left- and right-handed models, the Bear Archery Prowess RTH Compound Bow features an adjustable 35-50 pound draw weight and 23-28" draw length. Lightweight Compound Bow comes equipped with EndurafiberTM limbs that provide speeds up to 290 FPS. Plus, it measures just 29.12" axle-to-axle so it's easy to maneuver in the stand. 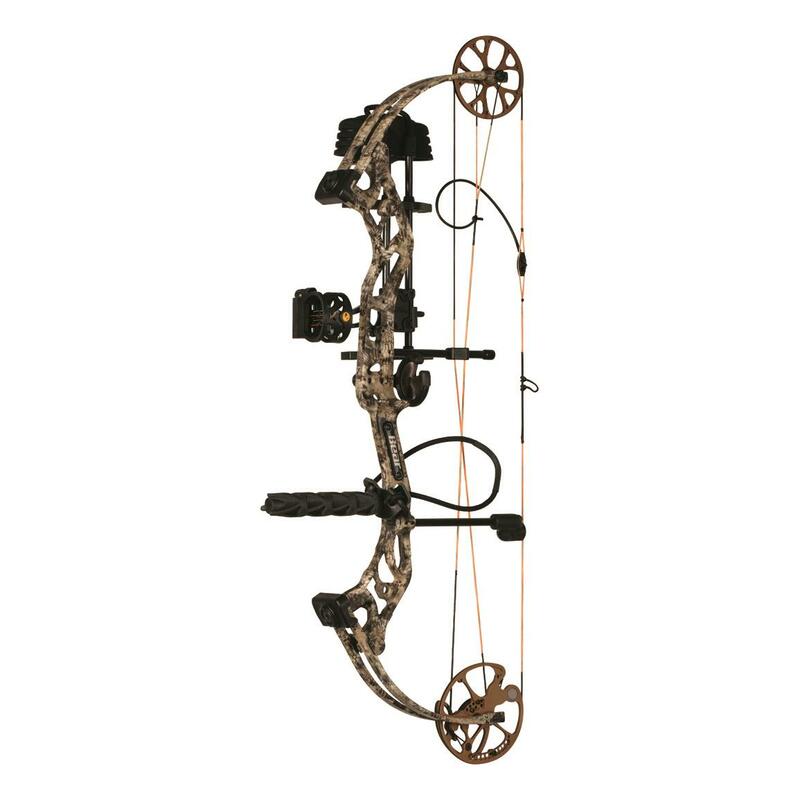 Includes Ready-to-Hunt Package with Trophy Ridge 4-Pin Sight, Trophy Ridge Whisker Biscuit, Trophy Ridge 5-arrow Quiver, Trophy Ridge Stabilizer and String, Peep Sight, and Nock Loop. Peak Draw Weight: 35-50 lbs.